August is well on it's way by now and for me this means that we are slowly moving towards Autumn. The days are getting slightly shorter and I can feel the cool air slowly creeping in. Time to start thinking about the Autumn/Winter trends and how better to do this than by looking at the Pantone Colour report for Fall/Winter 2016. I absolutely love working with this report and to help you out, I will be posting about each and every one of the 10 top colours they have picked for this season. I'll point you in the direction of some great products out there and will hopefully give you some ideas :) In this first post, I will just start off with one of the colours but I promise, the next colour will include a little swatch/review as well. I hope you like it! So the first colour is straight away one of my favourites. It's a beautiful cool blue called Riverside. According to Pantone, this colour is symbolic for calmness, strength and stability. It's sophisticated yet lively and bright enough which makes it exciting for the darker winter months. I personally love this colour because as a blonde with blue eyes, blue hues work for me. 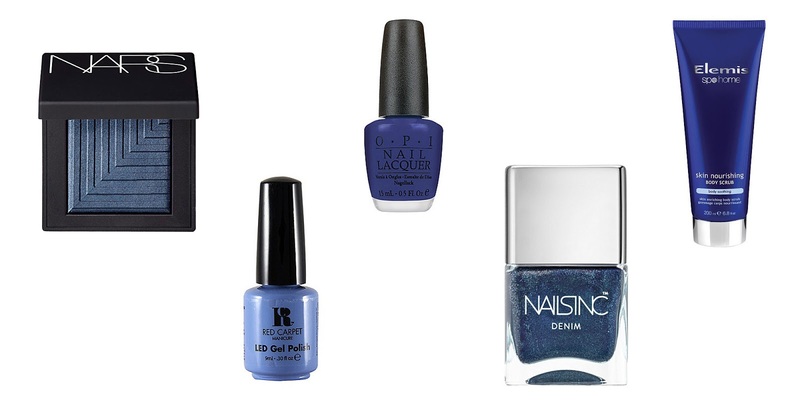 When it comes to blue beauty products, the first things I tend to think off are eyeshadows and nail polishes. I've added in a bath product because I know from experience that this is great stuff. The first item I have chosen is a bold eyeshadow from NARS. 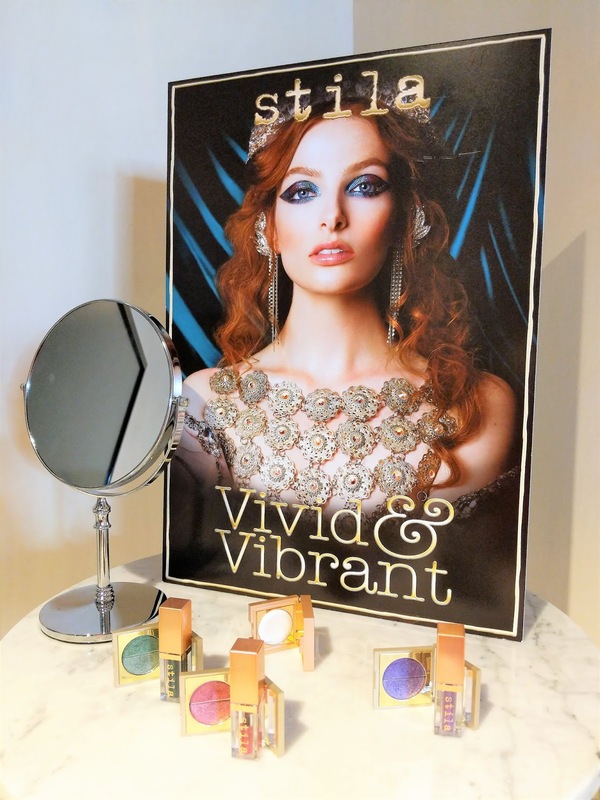 It's part of their Dual-intensity eyeshadow range in the shade Arcturus. This eyeshadow is definitely meant for people who are not afraid of a bit of colour. It's rich, intense blue colour can either be applied dry for a sheer finish or applied wet for more intensity and a smooth finish. Very bold! 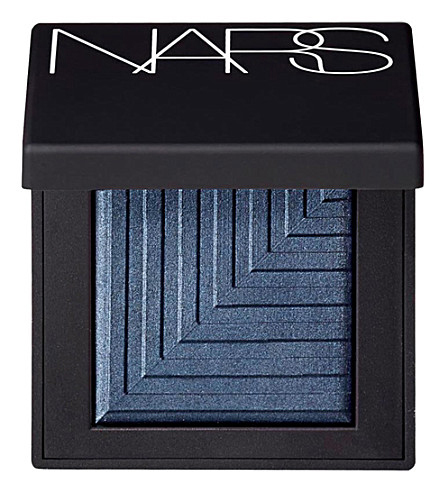 The NARS Dual-intensity range comes in 17 different shades and are £21.00 each. The second item is a nail polish by Red Carpet. 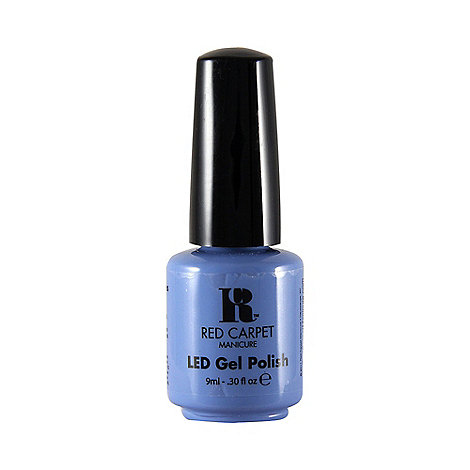 It's an LED gel polish which I like because gel polishes do tend to last a lot longer than normal nail polishes. This pastel blue colour is called 'Love Those Baby Blues' and is perfect if you want something colourful but bright is not your thing. 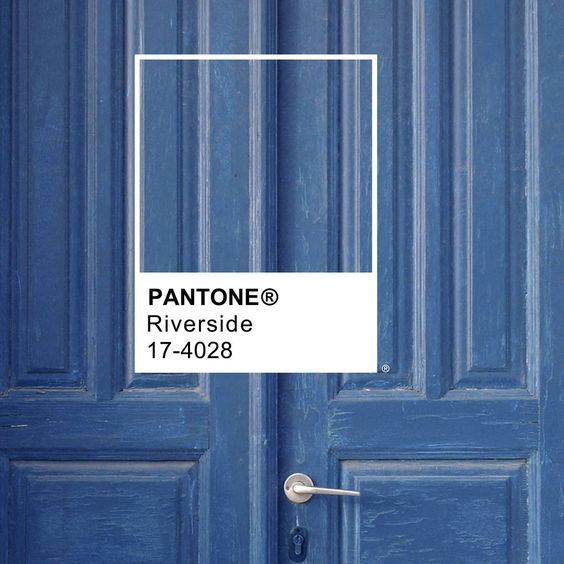 I think this cool, sophisticated colour really represents Pantone's Riverside. You can buy this nail polish for £12.95 per bottle. The third item is again a nail polish, this time from well-known brand OPI. I adore their polishes. They come in the most amazing colours and they are really worth the money if you ask me. A 15ml bottle costs £12.50. 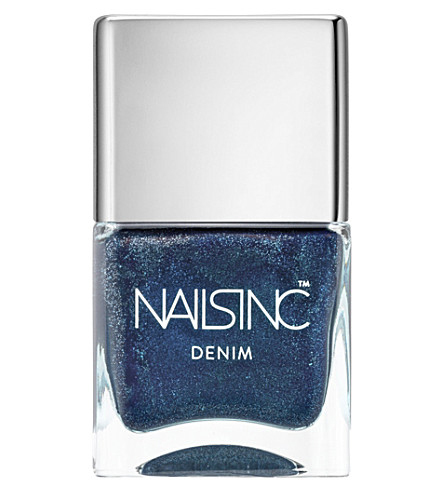 The third nail polish in my blue mini series (the last polish, I promise!) is one from another famous brand that I assume most of you are familiar with - Nails Inc. This Denim colour is exactly what it says - it reminds me of a pair of jeans! It has a little shimmer to it which breaks it up a little and lifts your casual outfit to a night of going out. The full name is Bermondsey Denim and costs £15.00 per 14ml bottle. Buy Me: Debenhams | Nails Inc. 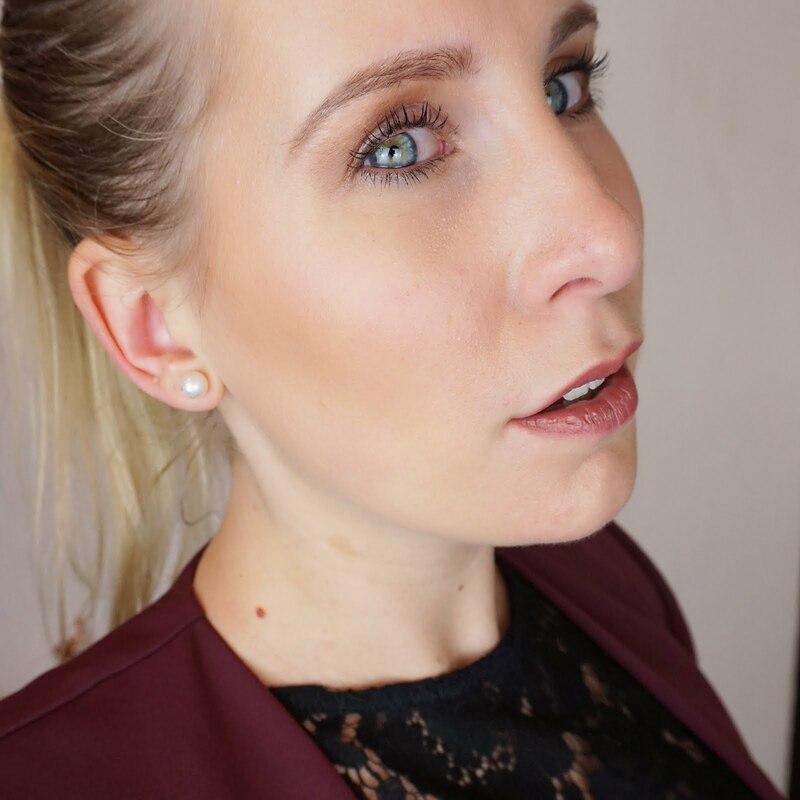 The last item I want to share with you today is all about skincare and bath/body products. I was invited to a VIP event at House of Fraser a while ago where I became familiar with the Elemis Spa@home range. I am so glad I did because this range is absolutely divine. It truly makes you relax after a long day of work. This particular item is the Skin Nourishing Body Scrub. It contains Rice and Bamboo to gently scrub the skin whilst Almond, Macadamia, and Wheat Germ Oils really nourish the skin. A bottle of 200ml costs £29.50. As you can see, there are many wonderful blue beauty items out there. This is only a small selection but I hope you have found it interesting! What is your favourite Riverside blue product to get you through Fall/Winter 2016? Share it in a comment below!